FleetPro Passenger Ship Management is launching and inaugurating four ocean vessels and three riverboats in May and June (2015). Iceland Pro Cruises is inaugurating the Ocean Diamond for a series of around Iceland cruises, as well as some Iceland combined with Greenland itineraries. Haimark Line is introducing the Saint Laurent (formerly the Sea Voyager), built for Great Lakes cruises and expedition style Panama Canal and South America cruises. Not a new introduction, but a renewed service of the Nova Star cruise ferry June 1, sailing again between Portland and Yarmouth. 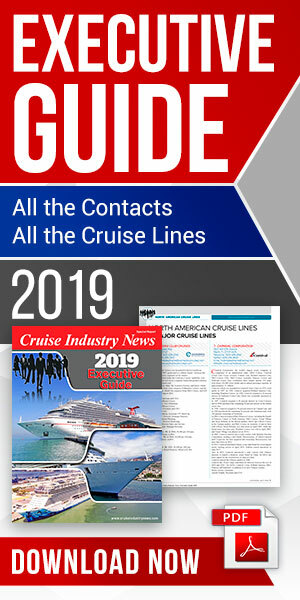 “These four ship introductions are a new mile stone in FleetPro’s effort to manage high quality and demanding passenger ships programs and itineraries,” said Hans Rood, executive vice president commercial for FleetPro. “Each of our clients has very specific requirements for the onboard product delivery, hotel operations, expedition style and itinerary demands,” he added. Avalon Waterways launches two additional suite ships in March, the Avalon Tranquility II on the Seine river and the Avalon Tapestry II, sailing Rhine cruise itineraries between Amsterdam and Basel. FleetPro starts the 2015 river season with 15 Avalon river vessels under management. Vantage Deluxe World Travel announced their River Voyager inaugural departure to take place on June 25. The new 442-foot, 176-passenger river boat will sail on the Rhine, Main and Danube, all the way to the Black Sea. “With the addition of three brand new vessels built mainly for North American clientele, 50 percent of our river fleet operation sails for the English speaking market,” commented Robert Straubhaar, president and CEO of the FleetPro Group. FleetPro Ocean (formerly ISP) and FleetPro River (formerly River Advice) manages a combined fleet of ocean-going passenger ships, expedition cruise ships and river cruise ships in excess of 60 vessels.